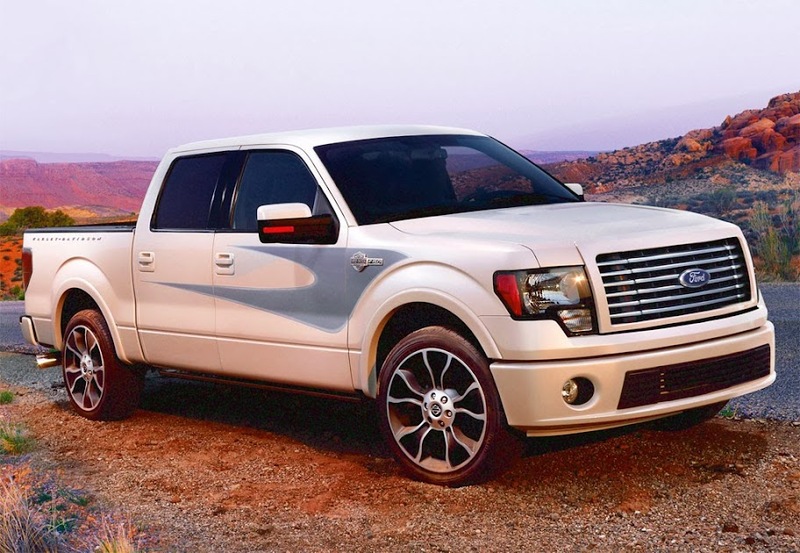 The 2012 Ford F-150 is just about all things to all people. The best selling vehicle in America for almost 4 decades the F-150 offers comfort, style and power! With Best in Class features that simply embarass the competition Ford F-150 is the bench mark by which all trucks are measured. If you are in the market for a truck then the Ford F-150 available at O'Meara Ford in Northglenn Colorado is the place to buy! Come in today or call us at 303-254-5250 to schedule a test drive! The available Navigation System with SiriusXM Traffic and SiriusXM Travel Link* combines Global Positioning System (GPS) technology with 3-D mapping and provides voice-guided turn-by-turn voice directions. Get continuously updated directions, information on weather, traffic delays and alternative route suggestions, local gas prices, movie listings, sports scores, and more. Included with the system is a 10GB digital jukebox for accessing music files. View a DVD movie on the navigation screen when the vehicle is in Park. And that's not all. Also enjoy crystal clear HD Radio™ reception available from stations equipped with HD transmission capability. *SiriusXM Satellite Radio, Traffic and Travel Link subscriptions sold separately or as a package after trial expires. SiriusXM Traffic and Travel Link service available in select markets. Subscriptions are governed by SiriusXM Customer Agreement; see http://www.siriusxm.com/. Sirius U.S. Satellite Service available in the 48 contiguous U.S.A. and D.C. Sirius, XM and all related marks and logos are trademarks of Sirius XM Radio Inc. and its subsidiaries. Ford engineers drew from their extensive experience using direct injection technology and turbocharging in diesel engine development and created the innovative EcoBoost™ engine option that's unsurpassed in combined power,efficiency and capability. Direct injection produces a cooler, denser charge that generates more power per every drop of fuel, while the two small air-to-air intercooled turbochargers spool up much more quickly than a single large turbo. What you experience is instantaneous low-end torque responsiveness with virtually no turbo lag. EcoBoost generates 90 percent of its amazing 420 lb.-ft. of torque from 1,700 to 5,000 rpm. And can it tow? F-150 with EcoBoost has best-in-class maximum towing capability at 11,300 lbs. ** Best-in-class payload, too, at 3,060 lbs. ** The EcoBoost engine underwent over 1900 hours of testing at full-boost conditions,as well as thermal testing to simulate 10 years of operation in the harshest environments. So EcoBoost is up to any task you can give it -- and then some. *2011 EPA-estimated 16 city/ 22 highway/18 combined mpg, 4x2. **When properly equipped. Class is Full-Size Pickups under 8,500 lbs. GVWR, non-hybrid, vs. 2011/2012 competitors. The available class-exclusive 4.2" LCD Productivity Screen provides fuel economy, towing information and off-road data. * Plus plenty of additional vehicle information. And it's all easy to navigate with steering wheel controls that help you keep your eyes on the road. It's standard in FX2/FX4, Lariat, King Ranch, Platinum, Harley-Davidson, SVT Raptor; and optional in XLT with the available XLT Convenience Package. *Class is Full-Size Pickups under 8,500 lbs. GVWR vs. 2011/2012 competitors. To aid you while moving in reverse, the available Rear View Camera uses a camera mounted in the tailgate to produce a large and bright real-time visual display in the interior rearview mirror. In vehicles equipped with the available Navigation System, the visual is displayed on the Navigation System's screen (shown). Available Ford SYNC® does a lot for you in a single voice-activated connectivity system. *Communications: Connect your Bluetooth®-enabled phone and make calls, browse your phonebook, see your call log and more. With the new AppLink feature you can access mobile apps on select smartphone brands via voice control. Entertainment: Plug in your compatible MP3 player or USB drive. Browse your MP3 player by genre, album, artist, song or playlist; or listen to audio books and podcasts - all with simple voice commands. SYNC even charges your MP3 player. Traffic & Directions: Get turn-by-turn directions, business search listings, traffic alerts, personalized news, sports and weather, plus Send to SYNC from Google® Maps or MapQuest®. Driver Assistance: Connect to a 911 operator through your paired mobile phone after an accident in which an airbag deploys with 911 Assist. Also, get a personalized Vehicle Health Report that shows you vehicle diagnostics, scheduled maintenance information and recall information, and conveniently schedule service online. GoogleMaps is a trademark of Google, Inc.
MapQuest is a trademark of AOL,Inc. The F-150 features an available class-exclusive* integrated Tailgate Step with a 350-lb. load capacity. This ultraconvenient step stows inside the tailgate, can be easily accessed when needed and includes a handy flip-up grab bar. *Class is Full-Size Pickups under 8,500 lbs. GVWR, non-hybrid, vs. 2011/2012 competitors.